Then there’s the question of the toxic ingredients used to manufacture flu vaccines – and it’s not mandatory to disclose such ingredients to recipients of the vaccines. While this entertaining video pokes fun at the topic, it’s definitely worth considering whether you’re willing to inject substances like mercury and formaldehyde into your body, especially for a practice with unproven results. You may be wondering how such a highly recommended “solution” could be so ineffective. The answer lies in the biology of the flu virus. Vaccines are made from disabled strains of the flu from past seasons, which trick the body into producing antibodies to fight against them. Ideally, the body should then be better able to defend against the virus if/when it encounters the same strain again. However, the reality is that flu viruses mutate very quickly, so the strain you encounter mid-season may be unrecognized as the strain you were vaccinated against, or worse it may have adapted into a strain that is more resistant than the version you were vaccinated against. Either way, the result of the vaccine is rendered useless, and your body is likely to succumb to the virus. Luckily, there are lots of ways to protect yourself from the flu without relying on a flu shot. Vitamin D is an essential nutrient that keeps the body functioning optimally, and especially supports the immune system. 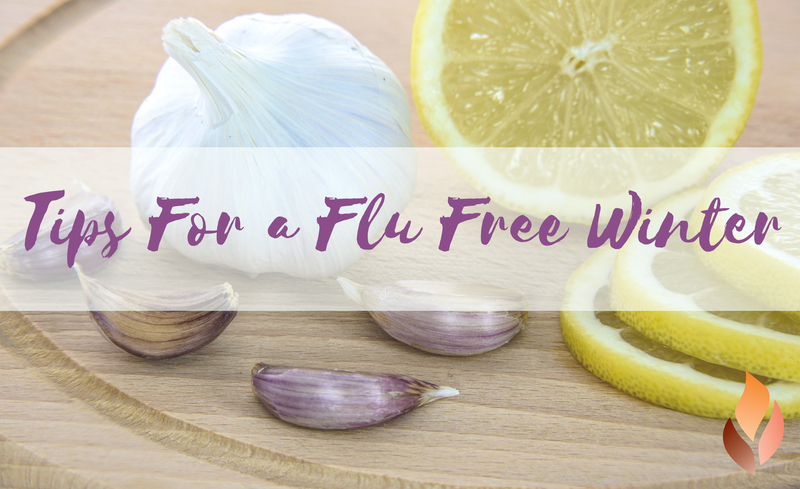 Some studies have shown it to be a flu fighter. Interestingly, flu season corresponds with winter – the time of year when we are least able to take in adequate levels of Vitamin D from the primary source: sunshine! I recommend having your Vitamin D checked and ideally, you want your level between 50 and 80 ng/ml. Your best bet is probably to take a Vitamin D3 supplement daily. A strong immune system relies heavily on having a healthy, well-functioning gut (as 70% of your immune system is in the gut), and probiotics help keep your gut engine humming. Look for a probiotic with at least 10-20 billion organisms and take daily. 3. Try to avoid sugar, gluten, and processed foods. These dramatically decrease immune function. Instead load up on nutrient-rich whole foods. Start your day with a smoothie full of goodness in the form of healthy fats (almond or coconut milk, avocado, almond butter), some frozen berries, chia seeds and a good protein powder. Lunches and dinners of nourishing soups, colorful salads, and dark greens and veggies are packed with flu-fighting phytonutrients. You can also dig into garlic, which has antiviral properties and is a known immunity booster. Getting enough sleep is a key component to a flu-free winter! There’s no better time for the body to restore and repair itself than while you rest. Shoot for at least 7 hours a night and try taking a 20-minute power nap if you’re falling short. If sleep is not your strong suit, check out my top tips for improving your sleep. Reducing stress is particularly important during flu season. Exercise helps to keep your immune system healthy, but don’t overdo it – your workout shouldn’t be a stress to your body! Light strength training, breathing exercises, yoga, or simply taking the time for things you enjoy will relieve tension and enhance physical and mental resilience. The antibacterial craze has created harsh products loaded with toxins that increase the risk of creating resistant bacteria. They also over-dry and crack the skin, making transmission of viruses that much easier. Instead, wash your hands frequently with good, old-fashioned hot water and chemical-free soap. When you feel the need for an on-the-spot cleaning, try a few drops of lavender essential oil for a natural hand sanitizer. With these tips, staying flu-free this winter should be a breeze.